New Delhi: The BSF is looking for participation of private airlines in the "air courier" service being facilitated to the troopers of all paramilitary forces since 2018 to save their travel time when they go on leave. The Border Security Force, as a nodal agency of the courier service, on January 21 invited an online tender through Central Public Procurement (CPP) system under 'two bid' systems (technical and commercial) for "providing aircraft" on eight routes and frequencies from April 1, 2019 to March 31, 2020. BSF Director General Rajni Kant Mishra issued the e-procurement tender notice on behalf of President Ram Nath Kovind for the bidding process of the air courier service that began after the Union Home Ministry in 2017 issued gave the go-ahead for it. Home Ministry sources said if private airlines participate in the bidding process, it would be more beneficial for the troopers as well as the government in terms of "facility and finance". "In view of competition, we hope Jet Airways and other private airlines would participate in the bidding system. As per the requirement and facility, we can select the most preferable bidder to continue the annual functioning of the air courier service. We are open to everyone," said a BSF official. 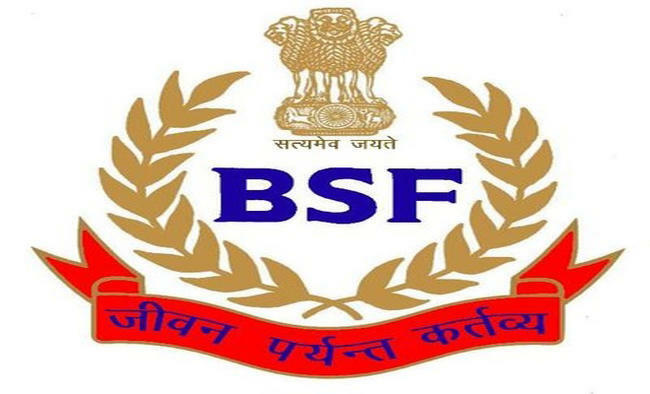 The service was started last year for all the Central paramilitary personnel enabling BSF to ferry them from Jammu and Kashmir, North-East and other farflung areas to Delhi and vice-versa. Last year, Air India had provided the air courier facility which started in June-July. Air India got the contract for one year, which is to end on March 31. In its bidding process, accessed by the IANS, the BSF sought aircraft services on Kolkata-Agartala-Kolkata (five days a week with minimum 144 seating capacity), Kolkata-Imphal-Kolkata (three days,144 seating capacity) and Kolkata-Aizwal-Silchar-Kolkata (one day a week, 144 capacity) routes. The other routes are Srinagar-Jammu-Srinagar (four days a week with minimum 144 seating capacity), Delhi-Srinagar-Delhi (seven days a week, 180 capacity), Delhi-Dibrugarh-Guwahati-Delhi (two days a week, 144 capacity), Delhi-Leh-Delhi (two days a week, 105 capacity) and Delhi-Raipur-Jagdalpur-Raipur-Delhi (three days a week, 60 capacity). This year, new routes such as Srinagar-Jammu-Srinagar and Delhi-Raipur-Jagdalpur-Raipur-Delhi have been included, said the Ministry official, adding earlier there was Jammu-Delhi-Srinagar route. "As the BSF has been providing this service to its troops since 2012, the Home Ministry enhanced the facility for the personnel of all Central Armed Police Forces (CAPF). The troopers are being provided the facility free of cost," said the official. The official said the move was adopted to significantly save the timing of personnel while going on leave apart from giving a boost to their morale.Officials said the service is available for the paramilitary personnel twice a year and is subsequently expected to include the travel of family members on the lines of defence personnel. A similar air courier service is already available for defence personnel. The defence personnel are entitled for travel thrice during the year with the service extended to their family members. Officers and men from the Central Reserve Police Force (CRPF), BSF and Indo-Tibetan Border Police (ITBP) deployed in Jammu and Kashmir, northeastern states and Maoist-affected area are the key beneficiaries of the service.